Buy-to-Let: Residential or Student Accommodation – which do you think is the most lucrative? With all the news about increasing demand in student accommodation, we often get asked by our new IPIN Members, what is the difference between the two types of Buy-to-Let (BTL) and naturally, which is the more profitable. Fact: The UK is the 2nd hottest 'education destination' in the world, according to UNESCO statistics. This coupled with an overall increase in the number of places being offered by universities is resulting in greater demand for student rental accommodation in UK's university towns. So, what does that mean for our Investors? Investing in student accommodation is predominantly a high yield earner for investors, if you choose the 'prime' hotspots with promising demand. With student blocks, you'll get a great yield and there is usually on-site management to handle the day-to-day chores – thus reducing the workload for you. However, these fees can be expensive and will eat into your returns. With normal residential investment properties located in university precincts, you'll pay a regular market price to purchase them but you can then enhance your yield significantly by renting fully furnished and targeting students as well as newly qualified workers. You usually also have the option to manage properties yourself which can save you money or use a trusted management company. 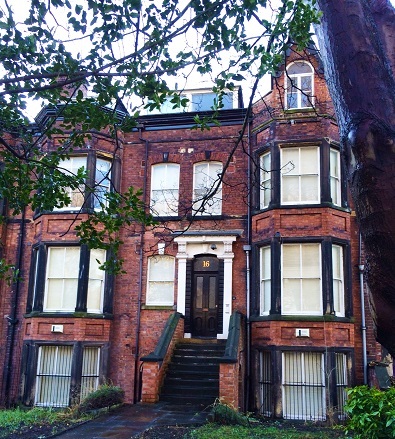 For example: In the university town of Leeds, The Moorlands neighbourhood, is very popular with student renters due to its proximity to the university campus and the city centre. However, it is equally as appealing to the young professionals who want to stay in a prime location. Here, two beautiful Edwardian Houses have been converted into contemporary studios and apartments which have been tailored to meet the needs of this target market. To find out about how you can earn yields of 8%, click here. Conclusion: When investing, you have to consider both yield and capital growth. If you want to pursue student accommodation, in my opinion, normal residential properties would result in better capital growth over the long term. This is because the property could still be sold to owner-occupiers later. The buyers for student apartments in student blocks are typically limited to investors, so your ability to achieve capital growth is restricted due to the inherent lower demand. 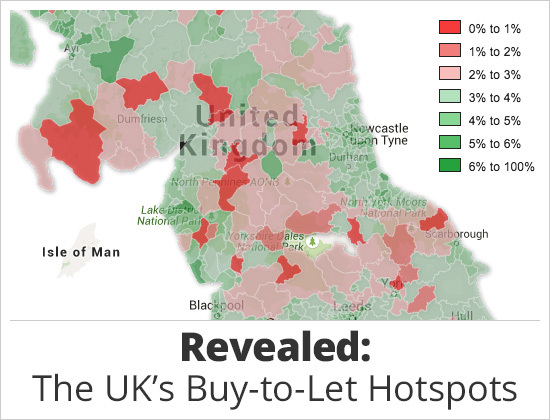 I also found an interesting map from totallymoney.com which has defined the best (and worst) locations for Buy-to-Let property investments across the UK. With rising investor demand for Buy-To-Let opportunities off the back of low interest rates and record rental returns, the sector is booming in the UK. However some locations are more profitable than others. Moving your money into Buy-To-Let property doesn't have to be rocket science and can be a great source of monthly income too! IPIN Global offers Members exclusive access to high-yielding buy-to-let opportunities in the UK. There are now a limited number buy-to-let units in Angelgate (Manchester), The Moorlands (Leeds) and The Heritage (Leeds). All three developments are located in areas which are defined as 'strong' for buy-to-let investment by the interactive map. For more information about how to receive a passive income from this popular asset class, contact us today. Please note: As with all investment decisions, it's important to carefully weigh up the pros and cons before making a decision.